Archives & Special Collections relies on the generosity and support of donors for many of the remarkable collections preserved and available to users. Donors offer important collections of personal papers, organizational records, books, and other material appropriate for Archives & Special Collections as well as financial support that supports the acquisition, care, and access to collections. Anyone interested in donating materials to Archives & Special Collections should understand that, unless otherwise stipulated, all items become the property of Criss Library and will be made available to researchers. Our Archives & Special Collections collecting statement describes criteria for manuscript and archival collections we accept and our library gift policy describes criteria for books we accept. Contact Amy Schindler, Director of Archives & Special Collections, to discuss your potential gift. 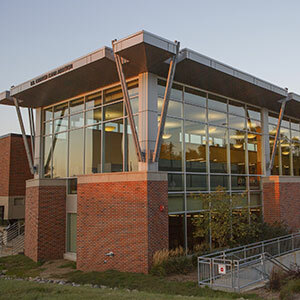 You may support Archives & Special Collections through a designated gift to the University of Nebraska Foundation. Gifts may be made with a credit card online or by check using fund code 01138520. To learn more or discuss your gift, contact Amy Schindler, Director of Archives & Special Collections.